You can still watch the first teaser trailer for Solo: A Star Wars Story here, or the Super Bowl spot here. 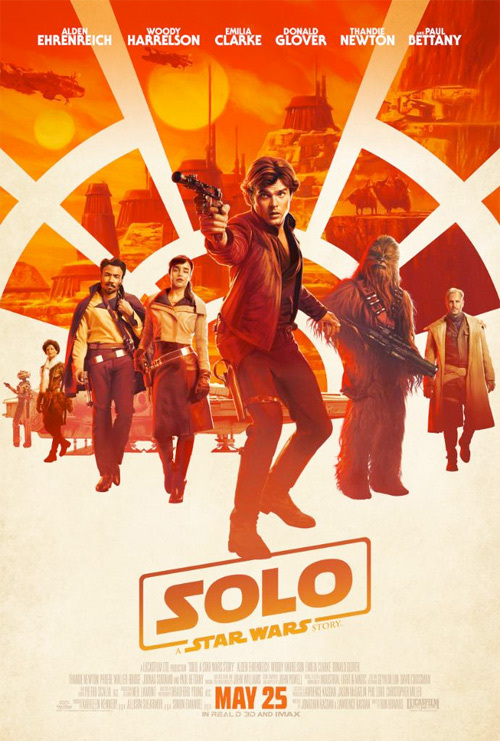 During an adventure into a dark criminal underworld, Han Solo meets his future copilot Chewbacca and encounters Lando years before joining the Rebellion. 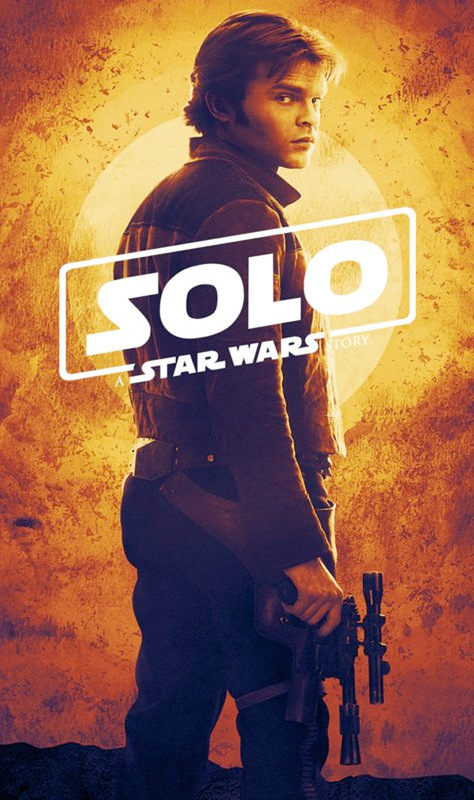 Solo: A Star Wars Story is directed by Oscar-winning American actor-turned-filmmaker Ron Howard, of the films Grand Theft Auto, Splash, Cocoon, Willow, Backdraft, The Paper, Apollo 13, Ransom, Edtv, A Beautiful Mind, The Missing, Cinderella Man, The Da Vinci Code, Frost/Nixon, Angels & Demons, The Dilemma, Rush, In the Heart of the Sea, and Inferno previously. It was originally directed by Phil Lord & Chris Miller, before they were replaced by Howard. The screenplay is by Jon Kasdan and Lawrence Kasdan. This premieres at the Cannes Film Festival. Disney will then open Howard's Solo: A Star Wars Story in theaters worldwide starting May 25th next month. You in?